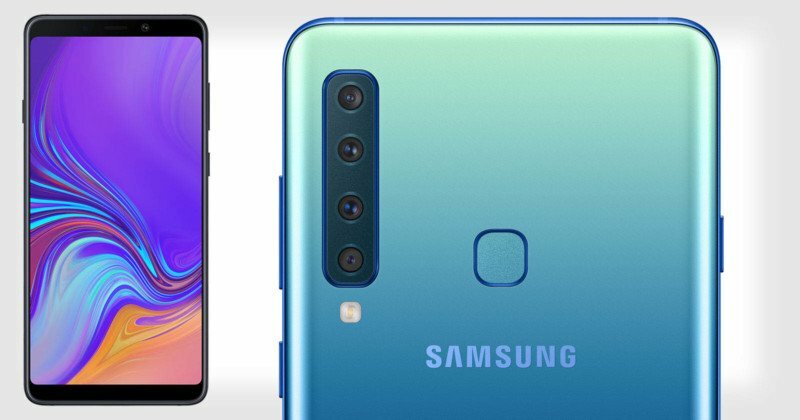 Samsung Is Launching World’s First Rear Quad Camera In Galaxy A9! Samsung never fails to amuse its audience and always tries to come up with state-of-the-art technology to fulfill the ever-increasing demand for One for All and All for One smartphone and to replace the need of DSLR by equipping their smartphones with the cameras like never before. This time, Samsung has taken the smartphone camera war to the whole new next level by launching Galaxy A9 which comes with world’s first ever rear Quad camera of 24 MP main lens. Yes, You have heard it right!!! Samsung Galaxy A9 comes with the first ever AI backed quad camera to give numerous possibilities to the users to capture crisp clear photos. Galaxy A9 rear camera features a telephoto lens that can zoom twice more than the regular cameras that come with other smartphones thus allowing the users to capture a detailed shot even from a greater distance. The 2x zoom capability is best for wildlife and macro level photography on one hand and on the other, it enables users to capture close-ups and micro-level detailing of nature and floral photography. The main lens of Galaxy A9 is of 24 Megapixels that empowers the users to capture bright and clear photos in the day and low lights. Galaxy A9 camera is intelligent enough to merge the pixels in low light and night-view in order to allow more light to be captured to give dazzling clear photos even in the dark. Galaxy A9 is equipped with a depth lens to enhance the creativity and imagination of the users by giving them full freedom to manually adjust photo’s focus as well as depth of field (DoF). The manual focusing of the subject is the first step towards capturing professional Instagram and Tumblr worthy photos thus replacing the need for any beginner level DSLR to practice. Live focus is an additional feature that focuses automatically on the selected subject thus blurring the remaining details and magnifying the selected object or person. Samsung Galaxy A9 comes with ultra-wide angle camera which enables the users to capture 120 degrees’ field of view as compared to normal 77-degree offered by other smartphones. Thus, users can now capture landscapes, group photo shoots as well as cityscape in a single frame. The camera can recognize 19 different types of scenes and can self-optimize all the settings accordingly. From food photography to night-view, the camera self-adjusts the color and brightness saving users’ time and energy to capture the right moment precisely. Galaxy A9 comes with 24MP selfie camera with multiple features including studio quality lighting and pro-lighting effects. There are around 36 types of animated emojis included in AR emoji feature to add to the emotions and expressions of the snapchat photos. Galaxy A9 Camera Is A Showstopper! Well, the world’s first quad camera in Galaxy A9 differentiates it from the rest of the smartphones but Samsung hasn’t compromised on any other features of this phone. It comes with a 6.3 inches super-wide screen with surround sound speakers thus giving an ultimate viewing experience to its users. It has got a long-lasting powerful battering of 3800 mAh capable of fast-charging saving the users from the hassle of frequent charging. Samsung Galaxy A9 has got fingerprint scanner as well as face recognition technology making it a secure phone. Samsung Galaxy A9 is expected to be launched in Pakistan so it’s better to keep a watch on this quad camera phone to buy in near future. Previous articleThese Were The 5 Best Huawei Phones Launched In 2018! Which One Will You Buy? Next articleHere Is Why Vivo Y95 Is Being Called The Best Vivo Phone So Far! WWDC 2018: Apple Launched iPhone XS Max Without Mentioning Apologies!